Is it too early to talk about Christmas? This year I’m planning a few weeks early because my home is on a virtual holiday tour the first week in December and I want to be well prepared. 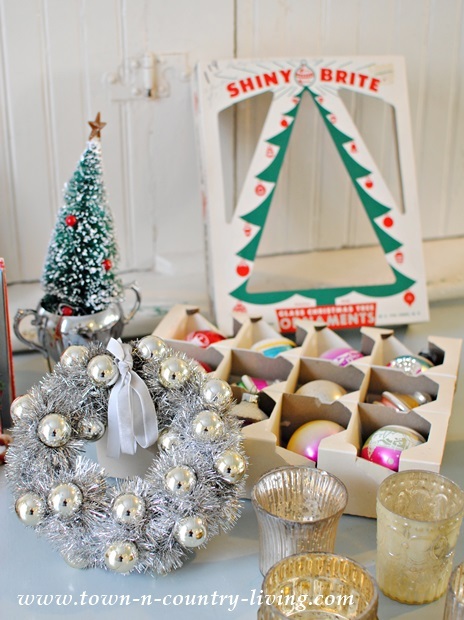 I have a decorating theme in my head and was on the hunt for vintage Christmas decorations at our monthly local flea market. Surprisingly, not a lot of vendors had Christmas decor out, so I’ll have to go back for the November market. But I did manage to find a few holiday goodies! 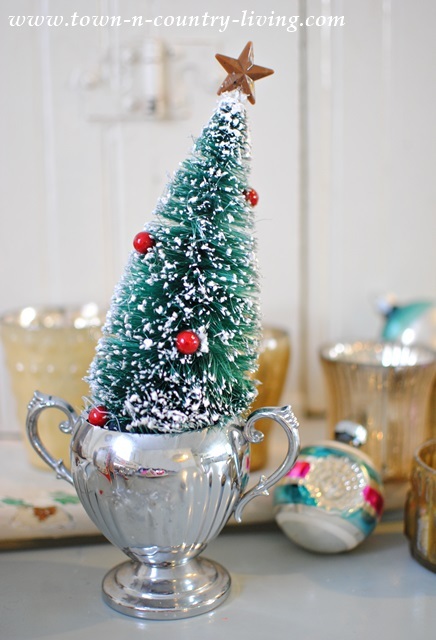 An adorable Christmas tree in a trophy cup came from Jennifer Rizzo‘s booth. She was one of the few vendors who had quite a few Christmas items. These silver and gold votives were also from Jennifer’s booth. The Christmas votives came in a set of six. 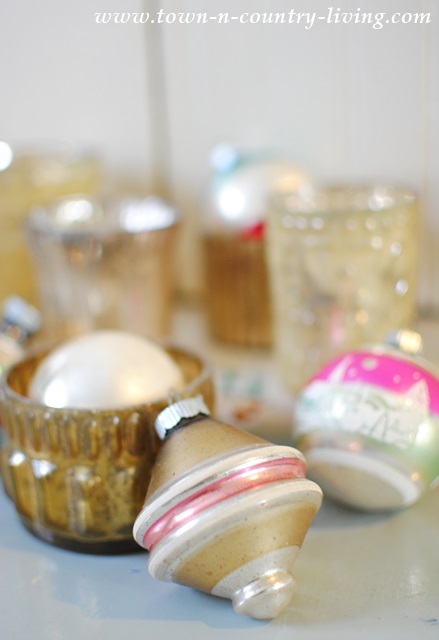 I found Shiny Brite vintage Christmas ornaments from another flea market vendor. I try not to spend too much money on them though. Some are ridiculously expensive. The silver wreath was also from Jennifer’s space. 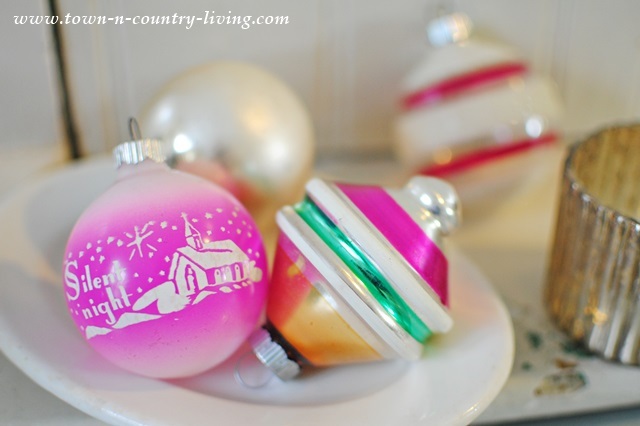 I just adore the pink Silent Night ornament. My pink-loving daughter is going to want it when she sees it. Don’t tell her, but I might just decide to give it to her, ’cause I know it’ll make her happy. 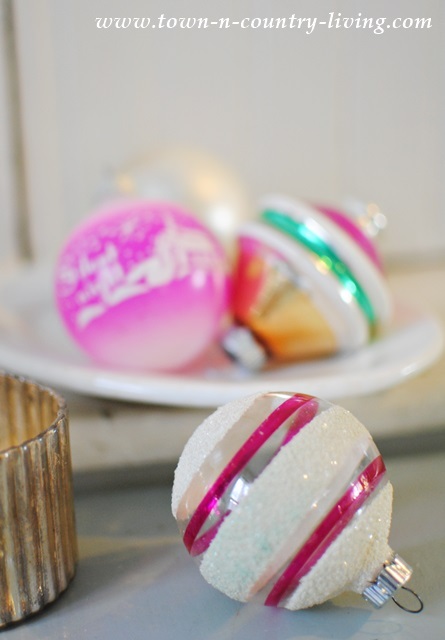 A snowy winter scene is frosted on this pink and green striped Shiny Brite ornament. 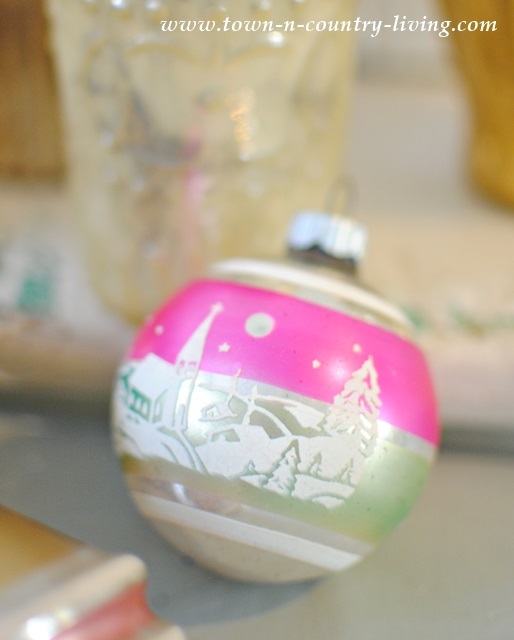 I love this frosted and striped vintage Christmas ornament. I’ve always loved the sparkle of the holidays. It’s somewhat magical. which means they’re at least 30 years old. I got a set of 10 for $7. It’s hard to tell from this angle but that’s a candle flame on the front. I snagged the jingle bells from guess who’s booth? I found a few vintage children’s books at another vendor’s booth. When I was a kid I loved having The Night Before Christmas read to me. 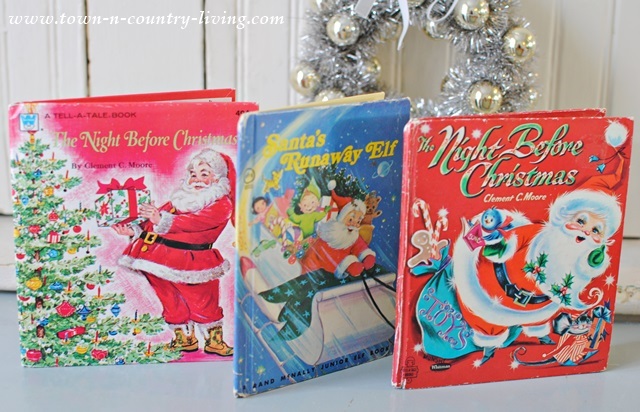 I was ecstatic when I found a trio of vintage Christmas books … it brought back fond memories. I also found one more item that I’ll reveal in a future post because I’m giving it a slight transformation. You came home with so many pretty things Jennifer! 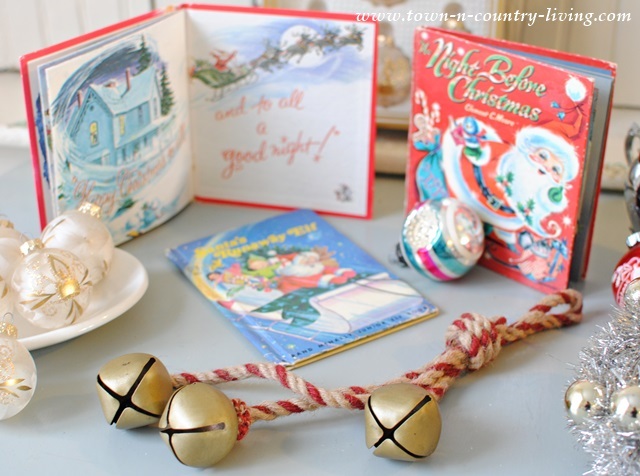 I love the tree in the trophy and the vintage books and jingle bells…can’t wait to take the tour!! Everything is so pretty. I can’t wait to see how you decorate with them. 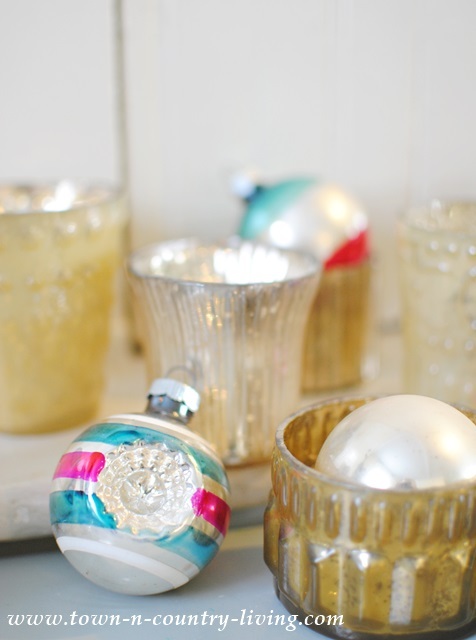 My daughter collects Shiny Brite ornaments so I never tire of seeing what others can find. She has several boxes that belong to her grandmother together with a couple of brand new boxes I bought her two Christmases ago. 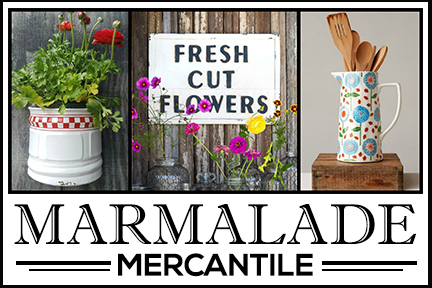 We have a lot of fun looking for them and other vintage finds. Cute decorations! 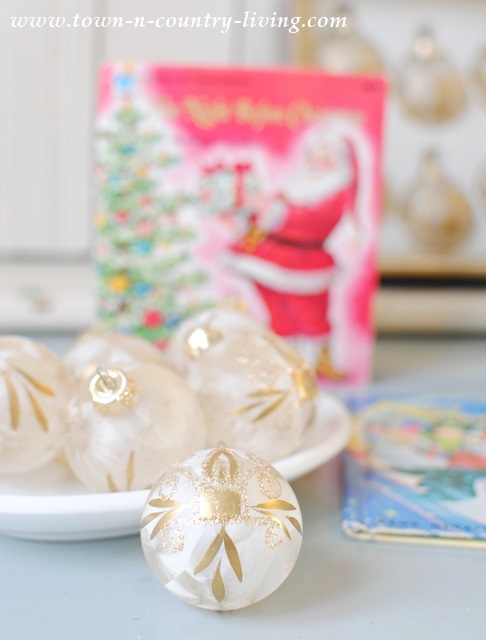 I love the vintage ornaments. I have some myself. They remind me of when I was a little girl. I am currently decorating our home for the holidays. I normally start the weekend closest to October 15th, however, this year we are taking a family trip to Disney World and I wanted everything done before we leave. I know, people say I’m crazy. I say I am crazy for Christmas!!! Such great finds Jennifer! I love the tree in the cup and the red and white striped ornament. 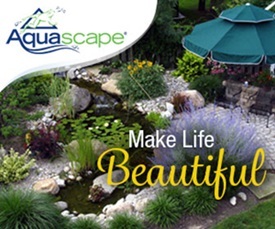 Can’t wait to see how you incorporate everything into your decor this year. Great find Jennifer!!! I love vintage Christmas stuff. And it’s never too early for Christmas! I’m in the mood, too, so this was a welcome post! I have the Book on the left from when I was a kid. Great finds Jennifer. Oh I cannot wait to see your decor this year. I know it will be spectacular. I went to Jen’s book signing last Saturday in Lisle and I saw your beautiful home inside this great book. 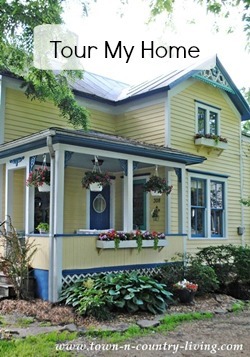 I am doing a post on Jen’s book and a give away on my Sunday post and I did highlight your home from the book. So gorgeous. You found some great things, Jennifer! Love the bottle brush tree in the silver trophy cup. There isn’t much out as far as Christmas in any of the booths I’ve been to in the past couple of weeks. I guess once Halloween passes there will be some. At least, that’s when I would probably have put mine out if I still had my booth. Some great finds……love them!! I have all my children’s holiday books, and some of mine too, they’re REALLY old. Keep them in an old basket by the tea table at Christmas. 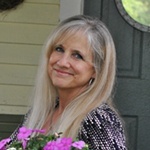 And love the shiny brights you found, can’t wait to unpack mine…….they bring back such memories…….. I am trying so hard not to let my mind wander towards Christmas decorating but it’s so, so hard when I read posts like this. I love all your finds. I too can never have too many vintage ornaments. I just started my collection last year but it’s growing at a nice steady rate. I did not have your direct email so I will leave this on your comment. I am selling my white slipcovered sectional to anyone that lives near me that is interested. Here is the blog post from today if you might be interested. If you might be interested just email me and I can give you the details and price etc. I know you like the white slipcovered furniture.